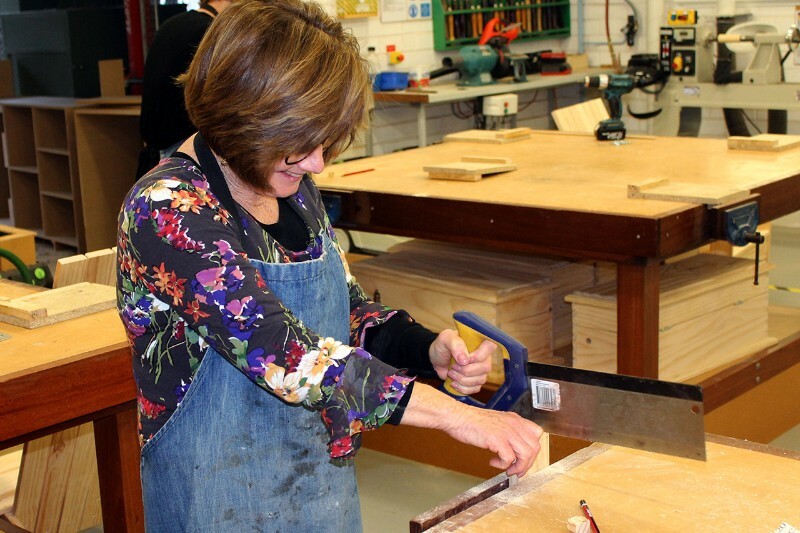 A number of our teaching and support staff have been learning some enjoyable new skills, with a little help from the College’s Design and Technology department. 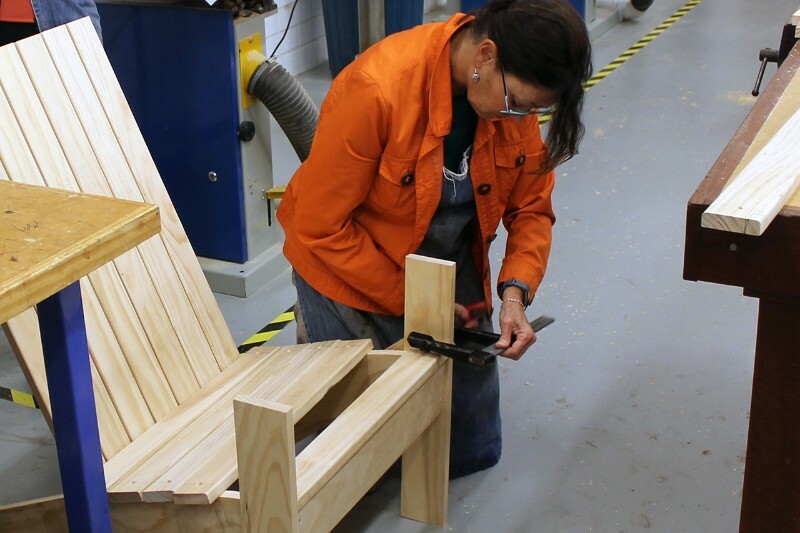 D&T teachers John Ferguson and Quentin Harmer offered after school classes in woodworking to staff – each building an Adirondack chair as their hands-on project. 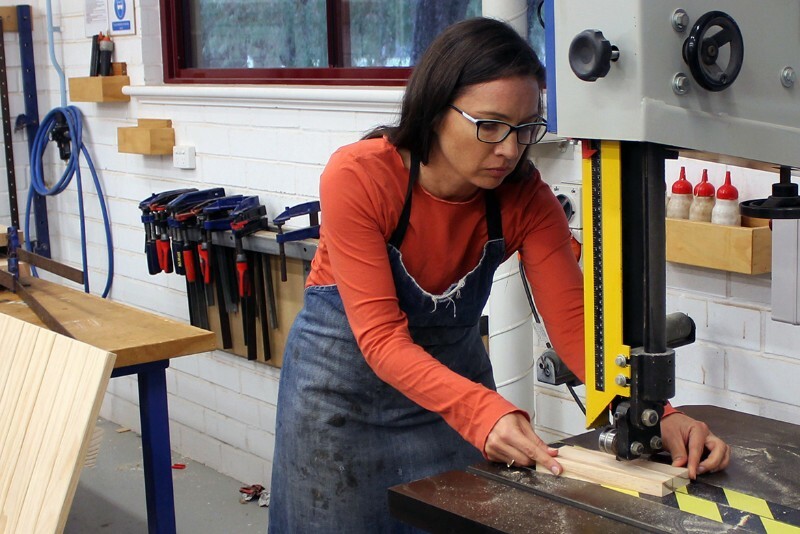 Admin staff and teachers from across learning areas took the opportunity to try their hand at machinery such as the drop saw, router and belt sander under expert guidance. 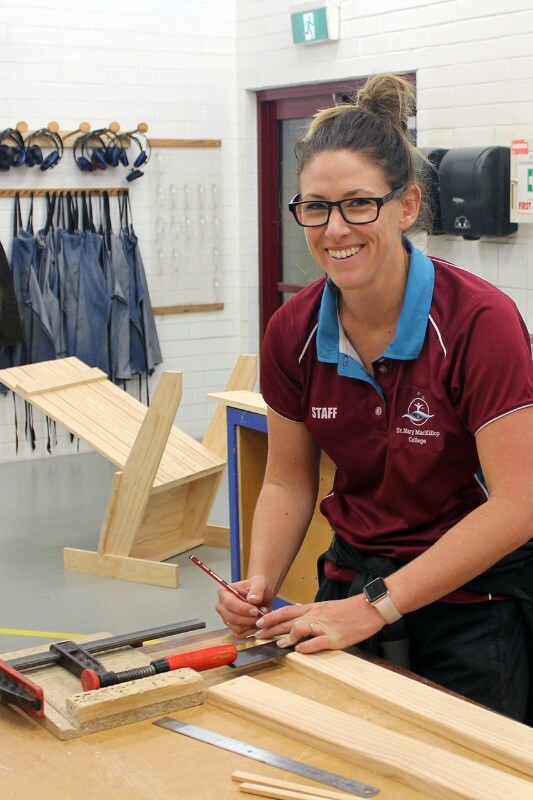 “Woodworking is something I’ve always wanted to do,” said Administration Officer Sandy Liddle. 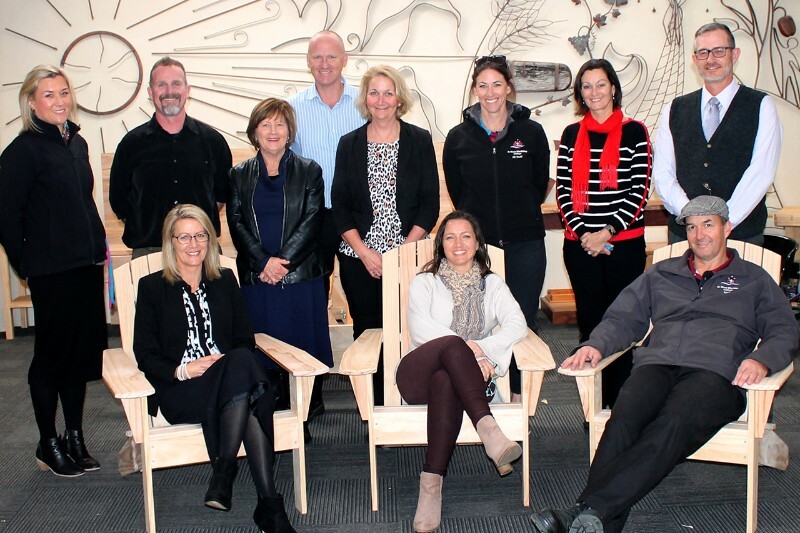 Mr Ferguson said all nine staff members expressed satisfaction at completing their chairs, and felt they had gained some handy new skills.